Alpha Zoo is a very unique and a very relaxing online game. The lovely game can be played by people from age groups although it is specially designed for kids. 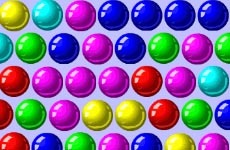 The memory skills and concentration level of the player is tested while playing the game. Use the mouse to click on two boxes simultaneously with one having the letter and the other having the word starting with that particular letter. Have fun!